Debt funds are mutual funds that invest in government securities and bonds and debt instruments of corporates and financial institutions. There are plenty of investment avenues available in the market and one of these is the debt fund. Debt funds provide investors an avenue to diversify and balance their investment portfolio into different asset classes. Investors can invest as little as Rs 1000 in debt funds and get advantage of the relative safety of debt. 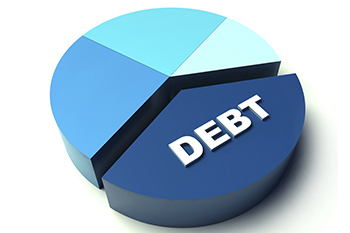 Let us look at the various types and features of debt funds. Types of debt funds: There are many types of debt funds, including Gilt funds, liquid funds, money market funds, monthly income plans (MIPs), short term plans (STPs) and fixed maturity plans (FMPs). Gilt funds, liquid funds, money market funds invest in government bonds and securities and other short term money market instruments, while other funds invest in bonds and other debt instruments of corporates and financial institutions as also in government bonds and securities. Depending on one’s needs and investment horizon, an investor can choose debt funds that are most suitable for him. Tenure: Debt funds are available for investment for the long term, short term and ultra-short term. Investors having an investment horizon of more than three years can invest in long term funds, while investors with medium to short term perspective can invest in funds having a time-frame of one to three years. The ultra-short term funds or liquid funds are for those investors who wish to park their funds for a few months. Safety: The debt funds are safer compared to equity funds, but they do carry interest rate risk and credit risk. The interest rate risk arises when there is a change in the prevailing interest rates causing a change in the prices of bonds. So, when interest rates rise, prices of bonds fall, and vice versa. This leads to a rise or fall in the net asset values (NAVs) of the debt funds. The credit risk refers to the credit worthiness of the corporate or financial institution which has issued the debt instrument. The credit risk arises if the issuer is unable to make timely interest payments or repay the principal amount on maturity. So, if the debt fund has invested in highest rated bonds and other debt instruments, the safety is high, and vice versa. Government bonds, being sovereign backed, are considered highest in safety. Returns: The returns on debt funds are steady but relatively lower as compared to equity funds. Also, the returns are usually positive but in extraordinary situations, the returns can be negative too. Such a situation may arise if the Reserve Bank of India intervenes aggressively in the money market to control speculation and halt the abnormal rise or fall in the value of rupee. Such intervention may result in liquidity crunch or liquidity glut and lead to rise or fall in bond prices, thereby affecting returns of debt mutual funds. But this happens very rarely, so one can say that the returns on debt funds are steady.